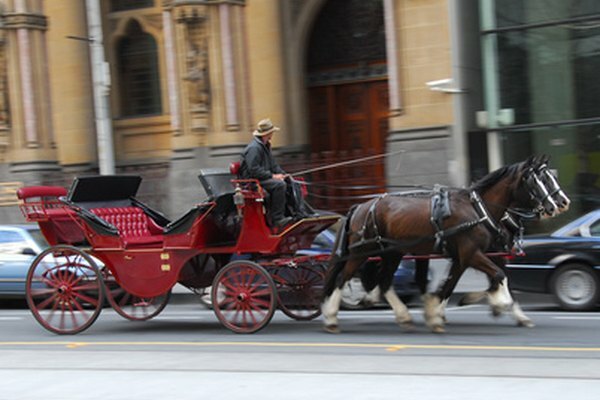 Horse drawn carriages were in widespread use from the 18th century until the early 1900s. 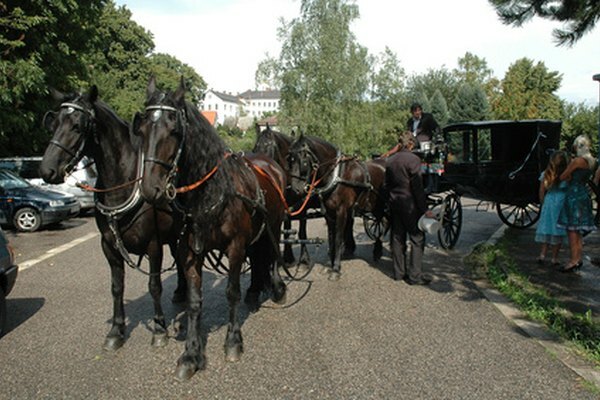 The carriages came in a variety of types, from public stagecoach to elegant private vehicles. 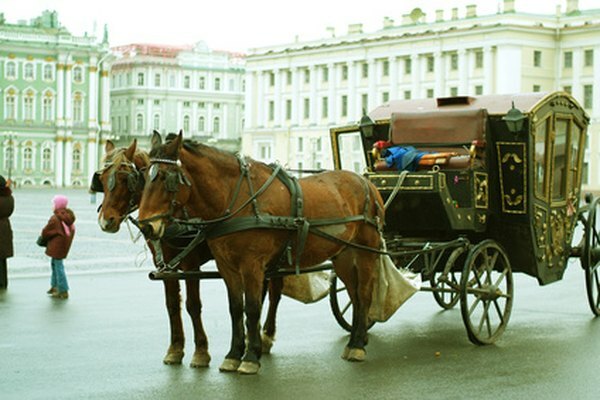 The original carriages of the 17th century were basic vehicles without springs. 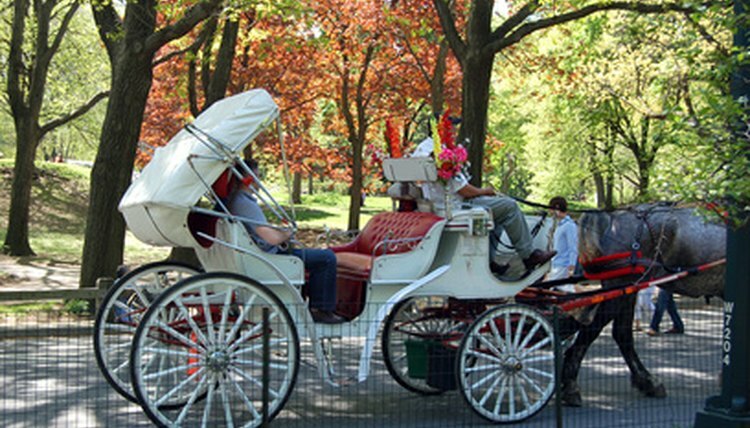 By the Regency era of the early 1800s, more comfortable horse drawn carriages were in use. Some were a luxury only the wealthy could afford; others were available for hire, complete with horses. 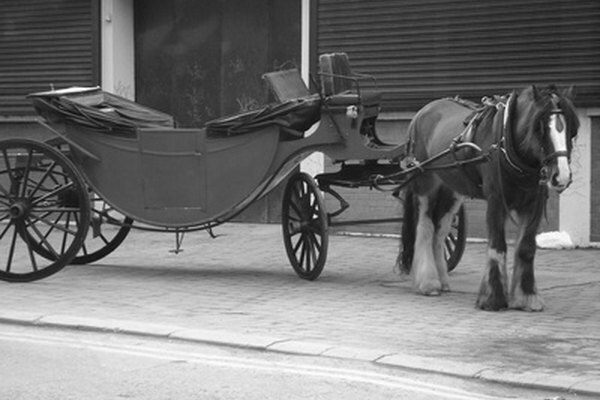 The hackney coach was one of the first types of horse drawn carriages, popular during the 17th century. According to curator Sharon Wagoner, on the Jane Austen Centre website, the original hackney was for hire and consisted of a “primitive springless box on wheels” pulled by one horse and a driver. Each coach had a license and number plate and was strictly regulated. The hackney eventually gave way to the cabriolet in the early 19th century. The stagecoach was one of the most important horse-drawn carriages in the 19th century. 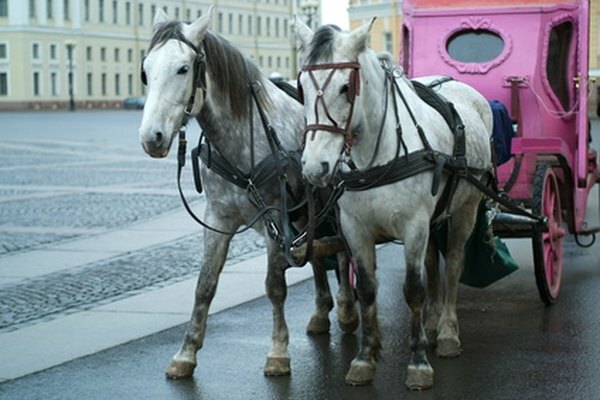 A heavy vehicle, it was pulled by four or six horses and provided seating for six passengers on the inside, with cheaper seats on the roof. Making regular runs between London and most large towns, the coach stopped at stages to put down and collect passengers, change horses or make an overnight stop at an inn. Lighter then the stagecoach, the post chaise was drawn by two or four horses and had curved springs and leather straps. It was superior to traveling by public coach, but only well-to-do gentry could afford to run this carriage. Post boys took charge of horses, with one boy riding each pair. An open, 4-wheeled vehicle, the elegant barouche was a French design and carried two passengers on either side. One small folding hood protected only the people on that side of the carriage. The barouche was an exclusive carriage for wealthy aristocrats, although people often hired them for outings. Used in England from around 1838, and named after its designer Lord Brougham, the brougham resembled an elegant, box-like coach. 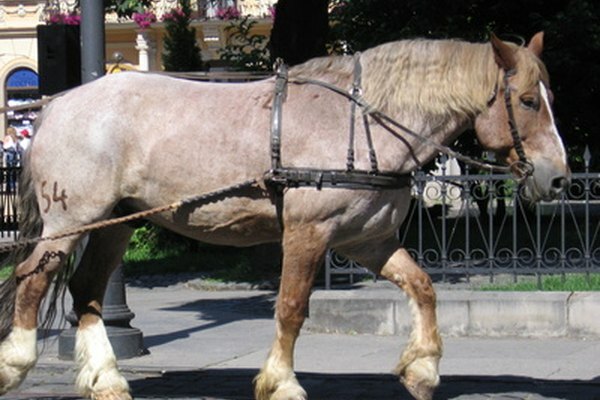 It conveyed two passengers and was used around town, drawn by one or two horses. A double brougham, called a Clarence, was available to carry four passengers. The gig was a light 2-wheeled cart pulled by one horse. A type of gig with a hood was known as a cabriolet, later called a cab, giving rise to the word cabby. 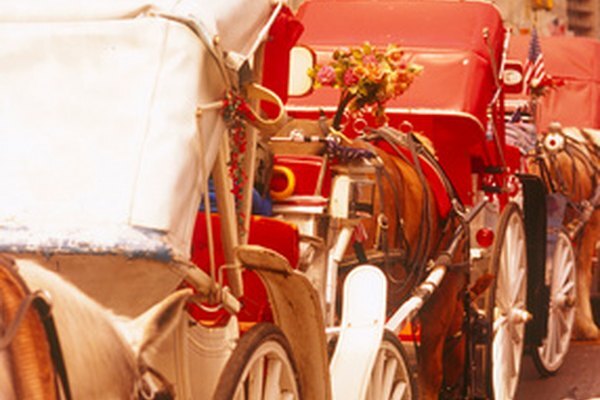 The curricle was a sporty, vehicle drawn by two horses with a seat behind for the liveried groom, known as the tiger. 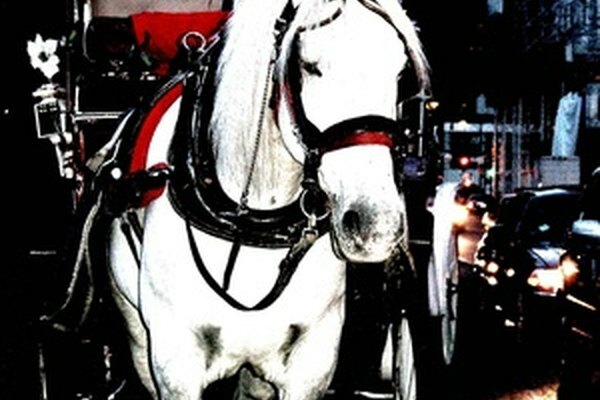 Named after its inventor, Joseph Hansom, the hansom cab was popular from the Victorian period right into the 20th century. It was a small carriage with the cabby situated on a raised seat at the back. A high step took two passengers into an intimate, but stuffy, interior. The landau was named after a German town and was a carriage with a hood in two sections, which could be lowered in good weather. The coachman drove from an elevated seat on the outside, at the front of the carriage. This was popular as a private coach for wealthy people. 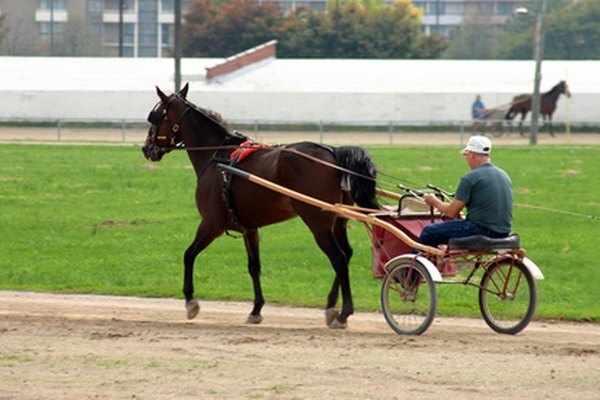 Lighter and faster than a coach, the phaeton was an open, 4-wheeled carriage drawn by one or two horses. Popular in Regency times, aristocratic travelers drove this carriage themselves, as did young men who used it for sport or speed.